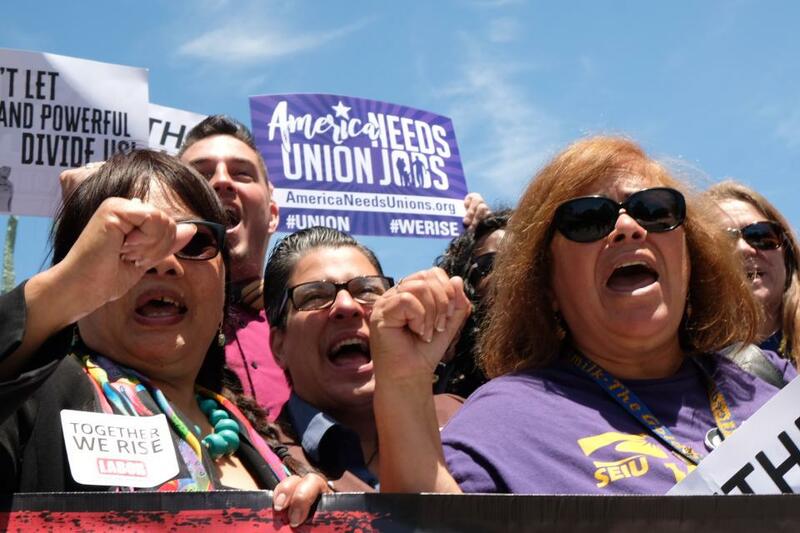 After a tremendous show of solidarity from their fellow City of Berkeley coworkers, community leaders, and members of other unions, a citywide strike was averted in the late hours of Friday, June 15. Days leading up to their contract expiration, Berkeley workers held actions almost every day, often drawing hundreds of workers and their families to rallies. From solid waste workers, analysts, parking enforcement officers, clerical staff to librarians and public nurses, workers came out in full force and assembled picket signs in the city hall lobby. They brought together local elected leaders, members from IBEW, AFSCME 3299, Local 1, and IAFF 1277, and fellow SEIU 1021 members from other chapters to join them in a fight for a fair and equitable contract. 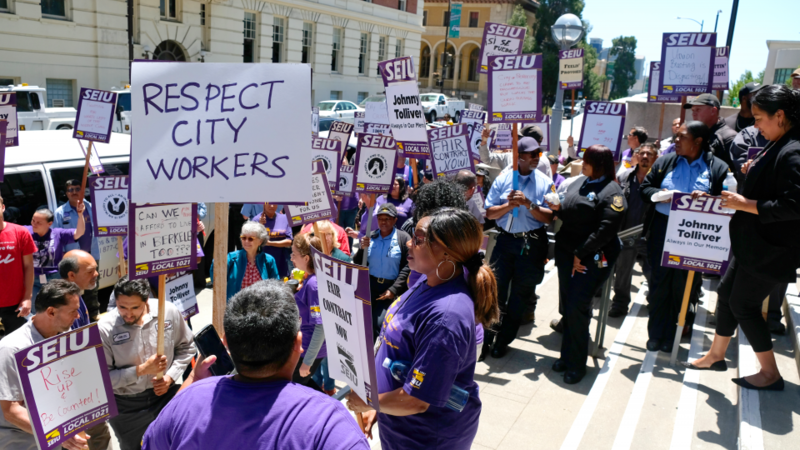 (Berkeley, CA)—More than 400 hundred Berkeley city workers voted to authorize a strike if city administrators fail to reach an agreement with clerical and maintenance workers over safer working conditions and cost-of-living allowances. 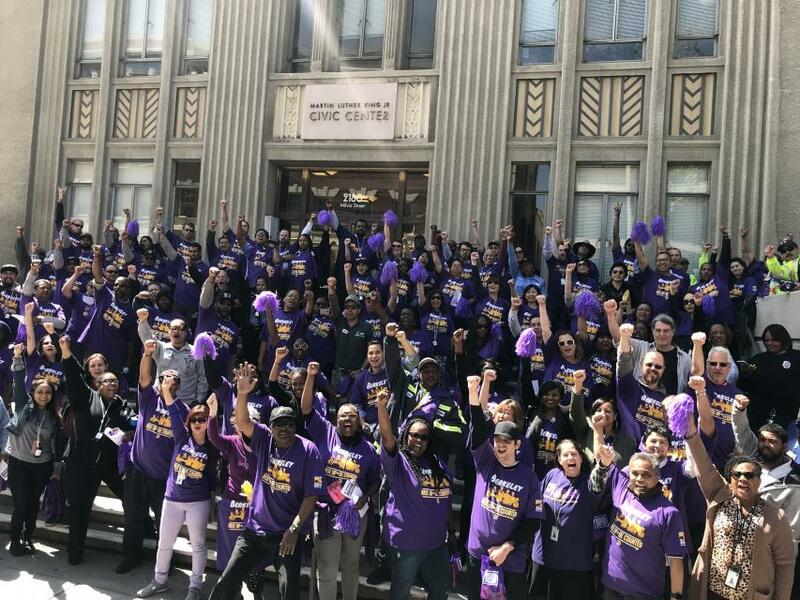 More than 400 librarians, public nurses, mental health professionals, and city planners and attorneys represented by SEIU 1021 voted on June 14 to join clerical and maintenance workers in a strike if necessary. 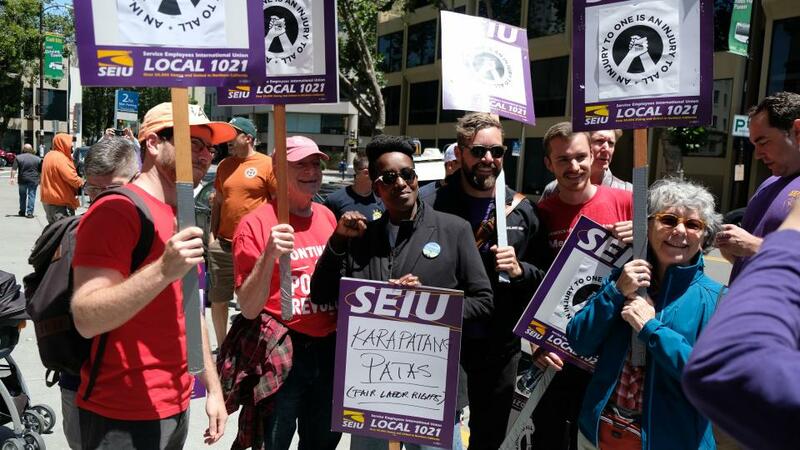 On April 4 hundreds of Berkeley City Workers rallied on their first day of contract negotiations along with community allies commemorating the 50th anniversary of Dr. Martin Luther King’s death. King was assassinated in Memphis, where he joined the public sanitation workers strike in the spring of 1968.